There are a lot of yoga teachers these days. 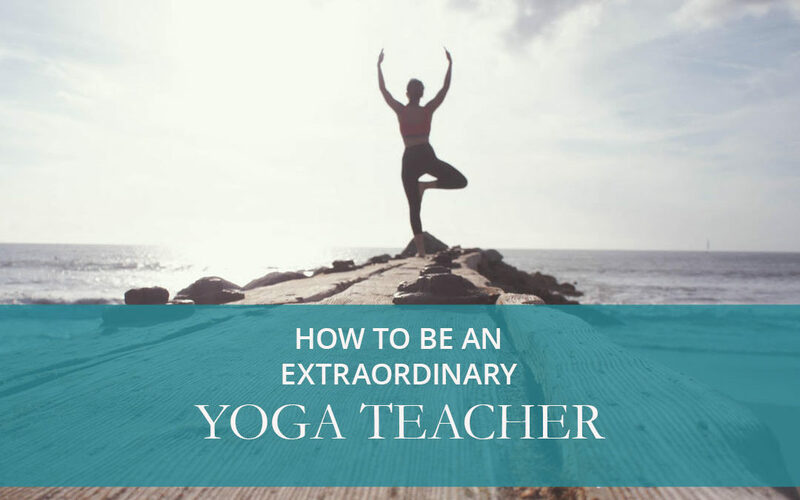 How do you set yourself apart and become an extraordinary yoga teacher? It takes two things: Knowledge + Experience. I know that sounds obvious, but there’s actually more to it. To truly understand yoga and how to embody the skills necessary to transform and uplift others, you need a lot of knowledge. Most likely, a lot more than a 200 hour teacher training offers. In fact, many people who finish a basic 200 hour teacher training tell me that they don’t feel ready to teach. Honestly, I remember when I finished my first training….I had this inkling that there was so much more out there that I needed to know. In fact, I believe that today’s yoga teacher must be more than merely a yoga teacher. Students need us for more than bending and stretching. They want to ask us questions about life, their relationships, their emotional traumas, and what to do about personal problems. For us to know the answers and truly be able to help them with those questions in a qualified way, we need a wide range of tools and a depth of knowledge in skills that help us to become spiritual leaders. Learn how to build inspired themes for your classes around the myths of yoga. Read about the myths of yoga, chants, mantras, and how to make yoga your personal mythology.